The thriller genre in YA is slowly making a name for itself in the YA world and as a big thriller/mystery fan this is great news for me! 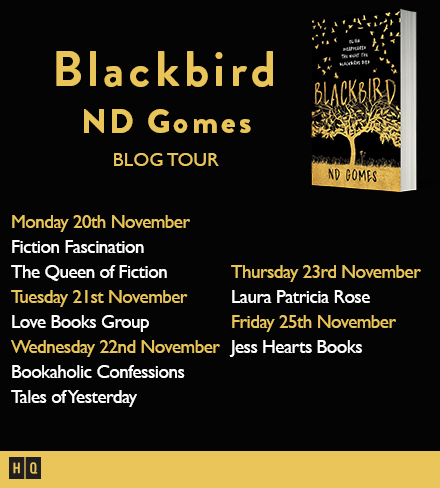 And today brings the penultimate stop on the Blackbird blog tour. Read on for my review. Alex is supposed to spend Hogmanay with her sister Olivia, but their agreed meet up time comes and goes and Alex thinks that she has blown her out to spend it with her friends. However when Olivia doesn't turn up at all, the worry starts to set in and soon Alex finds her world in a turmoil she wasn't expecting. Although I initially felt that this was lacking in grabbing my attention after reading a very gripping first chapter, I quickly got back into it as we got to know more about our protagonist Alex. Although I would class this as a thriller, it is more than just a thriller. We get the side of the story of the impact of this loss and the effect it has on Alex, her family and her relationship with others. Her determination in finding her sister no matter the cost is what makes this story so poignant for me. 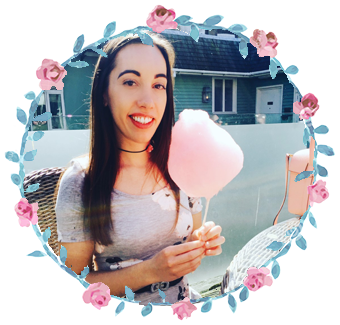 Although her parents and the police try to shield her from the harsh reality as much as they can, Alex does not let this deter her, she will stop at nothing. ND Gomes knows exactly how to capture grief from a young persons point of view and Alex quickly became a character I sympathised with greatly. It obviously helps that the story is written from her point of view along with her conscious thoughts throughout that actually make her come across as more real, but her thoughts and actions are those of someone going through the grieving process and the hurt and loss and fear she feels is almost palpable. In this sense it makes the story darker as the main focus isn't on finding out who done it, but the impact it has on the main characters. What was a surprising but nice addition to Blackbird was Alex's unlikely friendship with the Detective and how they end up helping each other. 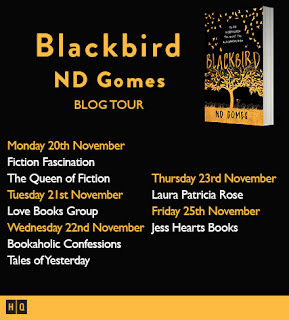 Although surprising, it was still believable, especially on a small island like Orkney where everyone knows everyone and this was another reason Blackbird stood out to me. Although the main focus is on emotions and how a missing girl can rock a small community, we still have a murderer at large that we need to find. 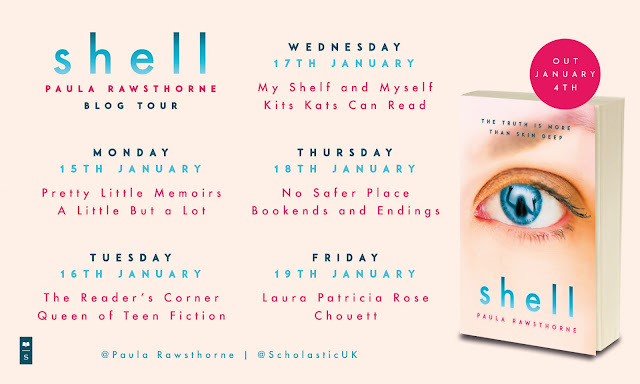 I didn't guess who they were right until the first clue towards the end, but it was still just as much of a shock and quite the twist for a book that I initially thought was more contemporary in its writing. 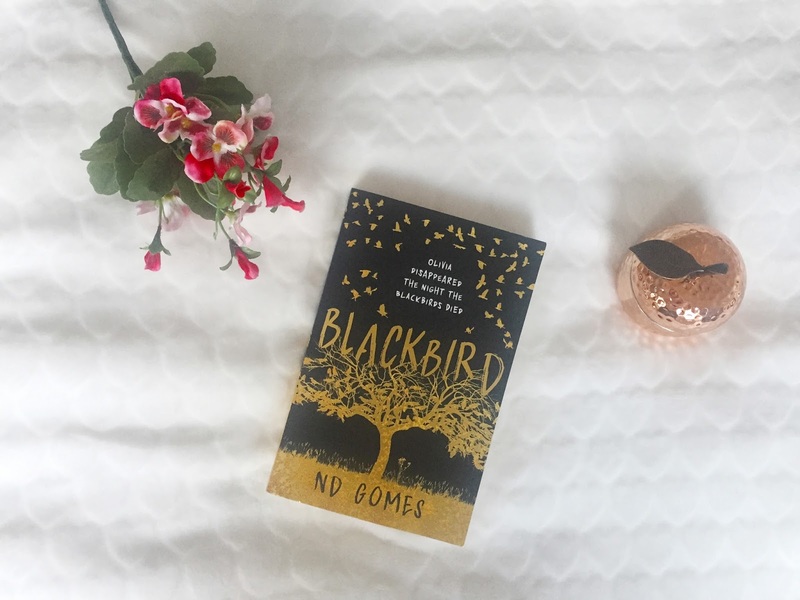 An emotional and tense thriller, Blackbird is a poignant and gripping read. this one is a good place to start i think, do love a good thriller! hey Katie, I am SO sorry for the late reply! December was a pretty manic month and this comment got lost along the way. Haha thanks so much, it really does beat for books, they give me life! Ooh top 5, that's SO hard, would have to be Harry Potter (obvs) The Girl with the Pearl Earring, Red Rising by Pierce Brown, Half Bad by Sally Green and The Light We lost by Jill Santopolo. None of those are thrillers but seriously recommend Sometimes I Lie- SO good.